As amazing and inspiring as our little ones can be, raising a child with special needs can be hard. And fighting to get your child’s needs met in a traditional school can be even harder. For many parents, it’s a never-ending struggle to get accommodations and services in a regular school setting. Many schools are either unwilling or unable to provide the extra support that children with disabilities need to learn and be successful. In some cases, low expectations keep kids with special needs from achieving their full potential. Faced with that reality, many families like mine decide that homeschooling is a better option. Homeschooling is a big commitment, but when you decide to keep your child at home to learn, you take charge of their education. There are trade-offs when you leave the public system, but there are a lot of perks as well. Most children thrive with individual attention. It’s easier to plan the day around doctor appointments, family obligations, and therapy. There are no bullies in homeschool, and you can create the environment you want. If you’re thinking about educating your child at home, here are some tips and tricks that can help you become a better homeschool teacher. Set yourself up for success by designating a place in your home for learning. It doesn’t have to look like a typical classroom with a desk and standard chair. While that works for some students, others do better in an informal setting with throw pillows and bean bags. Many children thrive in a sensory-rich environment that is stimulating but not overwhelming. Design your space with your child’s needs in mind, but try to keep it free from outside distractions. Having a clear separation between free time and school time will help your child adapt to a new routine. Reading can be one of the most rewarding and challenging tasks for any child. It might take your child longer to master letters and basic sounds, but patience and creativity are sure to help. Some children learn well with flashcards of the basic letter sounds, called phonemic awareness. You can make a game out of quizzing your child on the letter sounds and blends that make up words. 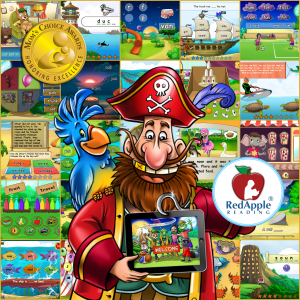 There are computer and tablet games that do the same thing. Reinforcement will pay off when your child needs to sound out words on their own. If your child is a sensory seeker or kinesthetic learner, you can use play dough or other tactile materials to shape letters. Set up stations around the room for different letters or words. Go on a scavenger hunt to find things that start with the letter of the day. Gather craft supplies and find ways to incorporate movement, music, and touch. When your child can sound out basic words, let them practice at every possible moment by reading aloud. Find books they like to encourage them to read. then practice with them until they can read on their own. At first, your child with special needs might memorize books. Eventually, they make the connection to sounds and can read on their own. It’s all about finding the right books to peak their curiosity. 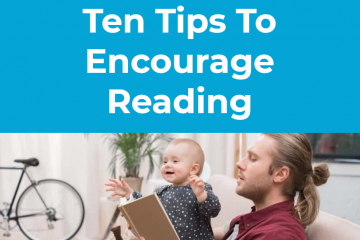 Your child will be more patient working through challenges that arise if they are reading something of great interest to them. 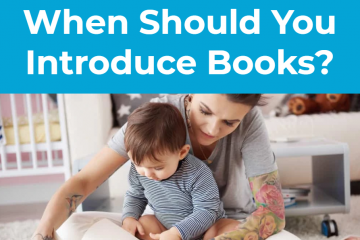 Whether your child likes trains, dinosaurs or animal picture books, it’s important to keep those topics handy for days when they are more reluctant to read. 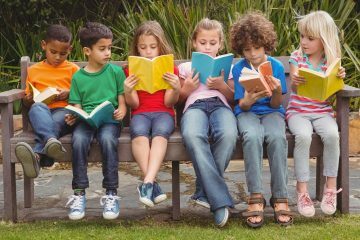 If your child has an obsession, read books on the topic to encourage learning. Let your student play teacher and read to the cat or dog at storytime. Write your own stories with your child, then read them as future reading lessons. Veteran homeschoolers know – it’s essential to have a daily schedule. Kids thrive on routines and it’s the best way to make sure distractions don’t sabotage your efforts. But when it comes to how fast or slow you move through lessons, you can let your child set the pace. If your child needs frequent breaks, factor those in. Whether your student can stay focused for 20 minutes at a time or two hours will depend on their personality as much as any disabilities they might have. If your learner has a short attention span, take every opportunity to use life events for teachable moments. For example, a trip to the doctor’s office can include a quick anatomy lesson, especially if you find fun learning material in the lobby that captures their imagination. A trip to the dentist can include a recap of the different kinds of teeth. Get into the habit of bringing a book along wherever you go so that you can make the most of time away from home. If there is a subject your child doesn’t like, such as math, consider doing it first, with the promise of fun topics to follow. Maybe you can schedule it before reading time or even just before lunch, so they’re motivated to finish quickly. Hone in on your student’s strengths. When your child goes to public school, they can come home with reports of their unusual and distracting behavior. Through homeschooling, you can document and celebrate each strength and victory, rather than the negative incidents. Join local groups to encourage your child to relate to others on their own terms. Here’s one mother’s blog on her positive homeschooling adventure. She gives 101 reasons it works for her and her child. When you have a child with cerebral palsy, autism, Down syndrome, blindness or another condition that impacts learning, daily tasks can be physically and mentally challenging. It’s important to constantly be on the lookout for frustration and other emotions that can throw off the whole day. Use your judgment about whether it’s best to push through or switch gears. Be flexible. Rather than concentrate on things that go wrong, focus on what you can control. Even in a home environment, your child is going to have bad days. Sometimes, it’s better to let everyone take a nap or go outside and run off some steams before resuming again. No one knows your child as well as you do. You are uniquely qualified to understand his or her strengths and weaknesses. That said, no one can do this completely alone. Depending on your child’s needs, you might need to partner with a speech therapist or occupational therapist to work on things like enunciation and fine motor skills. If there are subjects you don’t feel confident to teach, you can hire a tutor, partner with other homeschooling families, or participate in a training workshop. There’s no nurse’s office to send your child to when you homeschool, so you should take CPR and first aid classes so that you know what to do in an emergency. In public school, kids with special needs have an Individualized Education Program (IEP). It clearly identifies goals and benchmarks and monitors their progress over time. Although you don’t have to have one at home, it’s a good idea to make a version of this for your own purposes. There are online IEP generation tools to help you articulate both academic and non-academic goals. Revisiting it through the year can help you appreciate the progress that isn’t obvious when you work with your child day-to-day. Whatever it is you like to do to pamper yourself, make time for it. Whether that means a facial at the spa, a mani-pedi or a run along the beach, you need alone time to recharge. It’s important to build a support system with other homeschool parents so that you can help one another and maybe even provide some much-needed downtime for one another. Even if you’re doing everything on your own, you have to find some backup to make this happen, so you’ll be your best self when it’s time to teach your kids again.